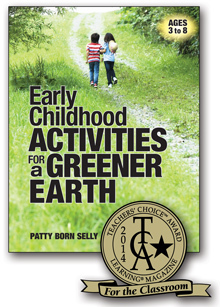 Patty Born is the author of three books for those who work with young children, including Early Childhood Activities for a Greener Earth and Connecting Animals and Young Children—both from Redleaf Press. 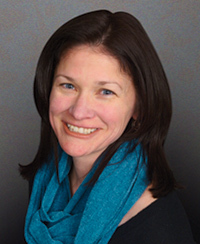 She currently teaches environmental and STEM education for preservice and practicing educators. Patty has worked in the science and nature education field for over 20 years in classrooms, museums, nature centers, and parks. She has worked with students in preschool through adulthood, with a particular focus on early learning. She currently serves as Assistant Professor of Environmental and STEM education at Hamline University in St Paul MN. She is the former Director of the National Center for STEM Elementary Education. Her passion is connecting teachers and children to nature. Patty lives in Minneapolis with her family. 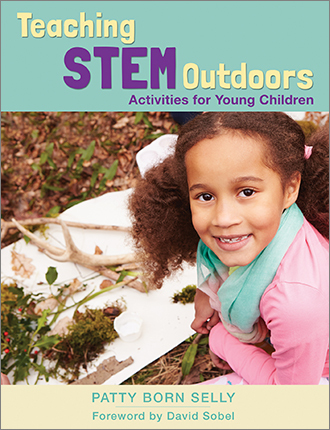 Nurture young children’s innate tendencies toward exploration, sensory stimulation, and STEM learning when you connect outdoor learning with STEM curriculum. Discover the developmental benefits of outdoor learning and how the rich diversity of settings and materials in nature gives rise to questions and inquiry for deeper learning. Animals appeal to children's curiosity, bring enthusiasm to their learning, and enrich their daily experiences. 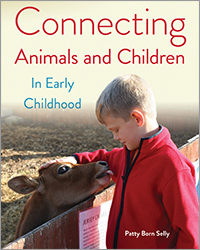 This book emphasizes the reasons why children's interactions and connections with animals are important, and it describes the valuable social-emotional development that results. It combines research, anecdotes, and a number of creative ideas that you can use to create authentic experiences for children. These ideas incorporate all kinds of animals in a variety of ways—including adaptations if live animals are not permitted in your setting.